Washington’s May Day Celebration, 1924 | Park View, D.C.
“Fairies, flowers, and queens, personified in several hundred children,” were once a common site at District playgrounds in celebration of May Day, particularly during the early part of the Twentieth Century. Early on, Mrs. Susie Root Rhodes, supervisor of District playgrounds, made May Day celebrations an annual event. First Lady Grace Coolidge receiving May Basket from James Owens, Maurice Towney, and Virginia Yingling (Photo from Library of Congress). 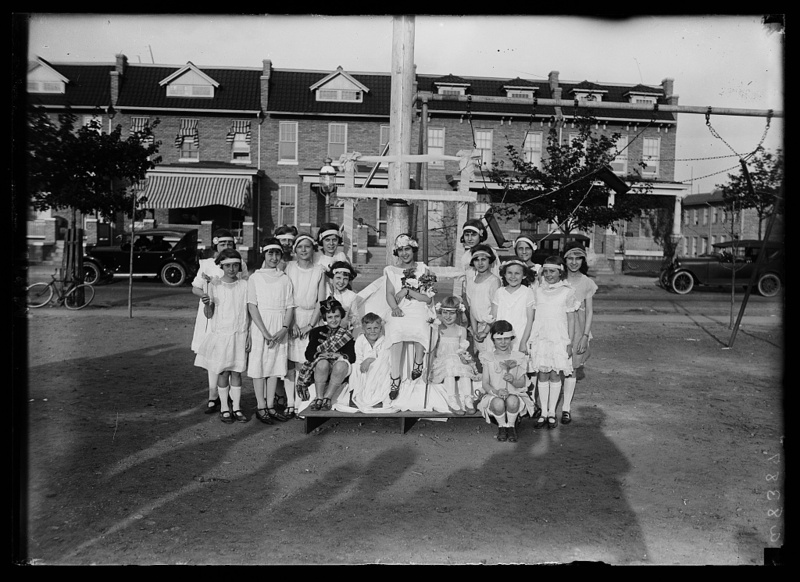 The celebrations in 1924 were particularly notable as May Day coincided with the American Child Health Association’s Health week (April 28 to May 3), and thus received citywide attention. For her part, Mrs. Rhodes began planning for the annual celebration two months in advance. May Day festivities were organized at 26 playgrounds across the city with locations including Park View, Bloomingdale, McKinley, and Rosedale, to name but a few. Midday featured Miss Grace Abbott, of the children’s bureau, who was schedule to speak for an hour at the health meeting at Keith’s at which Corcoran Thom presided. Later in the day, the focus shifted to the city’s playgrounds where May queens – by the acclaim of their subjects – presided over the May Day festivals beginning at 4:00 p.m. The May queens were elected by the votes of their playmates at the playgrounds where they presided. 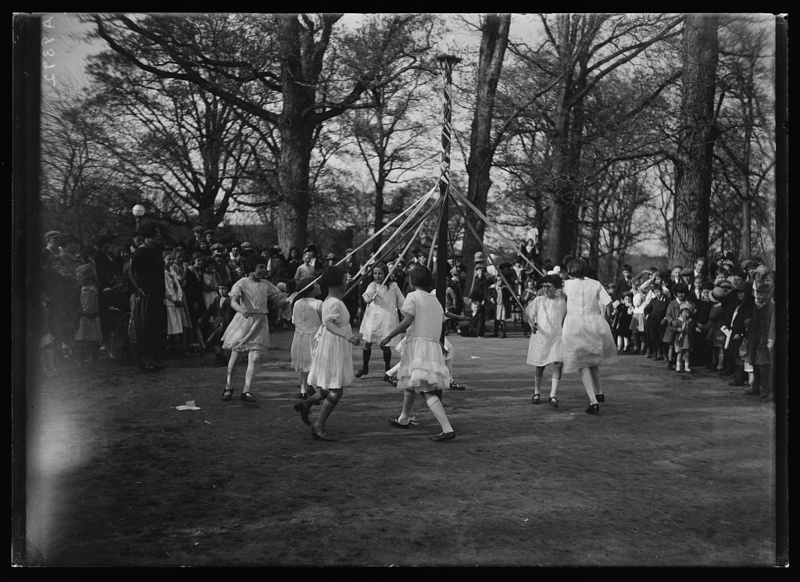 During their fleeting reigns, they watched over athletic contests, folk dances, the dances of the flowers and fairies, and the maypole, with the events scheduled to end at 6:00 p.m.
“Children of District Revel Tomorrow in May Festival.” The Washington Post, April 30, 1924, p. 10. 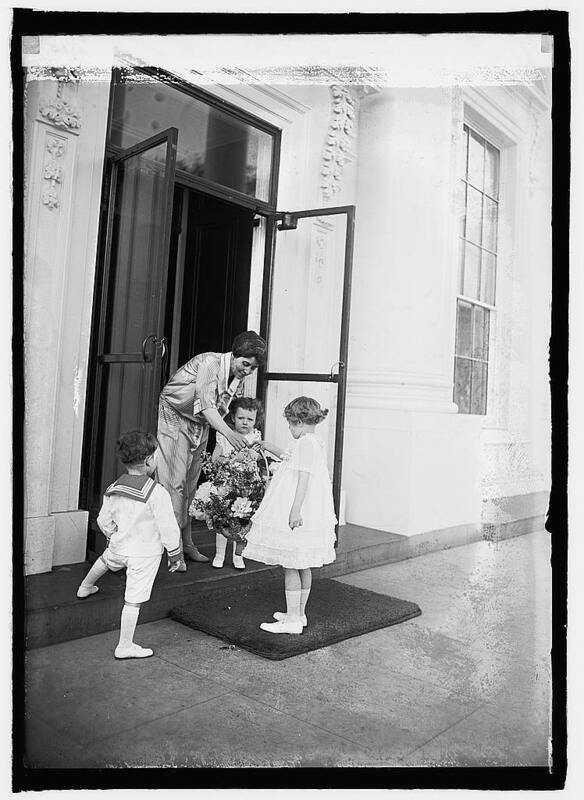 “Children to Hang May Day Gifts on White House Door.” The Washington Post, May 1, 1924, p. 2. “Children’s Pageant Charmingly Given.” The Evening Star, May 2, 1924, p. 17. “Many Child Health Activities Planned.” The Evening Star, April 30, 1924, p. 2. “May Day Festivities at 26 Playgrounds.” The Evening Star, April 30, 1924, p. 17. “May Day Joyously Observed in D.C. At Playgrounds and Social Centers.” The Evening Star, May 1, 1924, p. 17. “Mrs. Coolidge Kisses Boy In Reward for May Basket.” The Washington Post, May 2, 1924, p. 11. “White House Lady Kisses Little Boy Who Hung Basket.” The Evening Star, May 1, 1924, p. 2. This entry was posted on May 1, 2015 at 7:01 am and is filed under History, Parks and Green spaces. You can subscribe via RSS 2.0 feed to this post's comments. So May Day WAS once celebrated in DC! Growing up in the Midwest, kids always made May Day baskets and handed them out to friends and neighbors. My kid made some May Day baskets for his teachers this year and they were grateful but I was surprised that none of the teachers or parents had ever heard of May Day before. Now I have proof that it wasn’t just something invented by us Midwesterners. Thank you for the history lesson!